Every business faces the same challenges - the increasing amount and criticality of data, and the need to access data securely by multiple users at a fast speed both in and outside of the office. 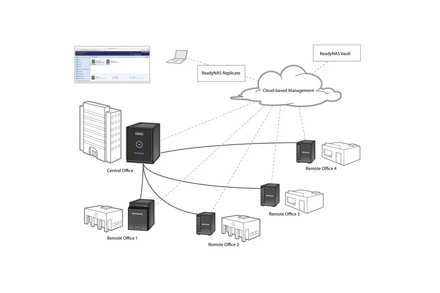 The ReadyNAS 420 Series, with 2-bay and 4-bay models, is a high performance network storage solution that meets the demands of every business by offering high performance data backup and access to workgroups, an industry unique 5 Levels of Data Protection, and ReadyCLOUD for secured and automated VPN access to data. 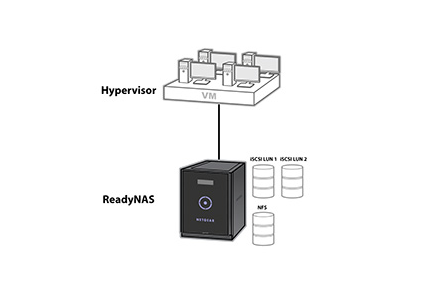 ReadyNAS brings state-of-the-art data storage and protection technologies in an affordable and easy-to-use system to the SMB. 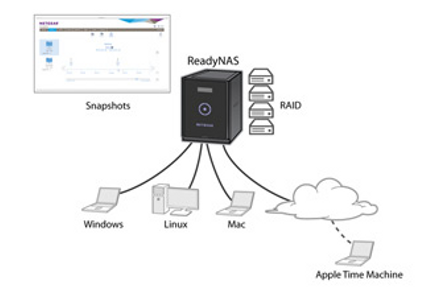 All ReadyNAS are built on the revolutionary ReadyNAS OS 6 operating system and next-gen BTRFS file system. A best-in-class 5 Levels of Data Protection - XRAID, Unlimited Snapshots, Bit rot protection, real-time anti-virus and ReadyDR easy offsite replication work in concert to securely protect your data from common risks. 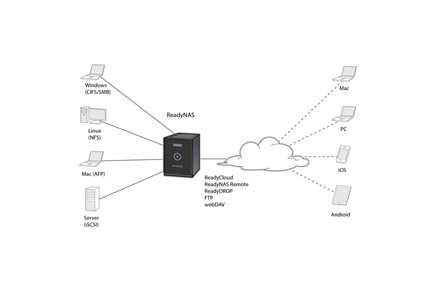 All ReadyNAS systems utilize proprietary ReadyCLOUD technology. With ReadyCLOUD, remotely accessing and sharing files in your own secure private cloud has never been easier. No VPN setup, no port forwarding, no dynamic DNS required. 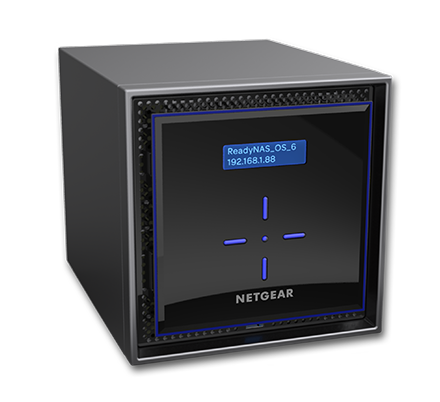 Data collaboration and protection are now made compatible and simple with NETGEAR ReadyNAS for business productivity and continuity for all. ReadyNAS – EASY, RELIABLE and SECURE storage. Hard Drive Redundancy: RAID redundancy with automatic expansion and unlimited data snapshots for point-in-time restore. Download the NETGEAR ReadyNAS 420 Series Datasheet (PDF). NetGuardStore.com is a division of Virtual Graffiti Inc, an authorized NETGEAR online reseller.